For more than four decades, the technicians at Marcus Moore Restoration in Lititz, Pennsylvania, have provided beautiful plaster restoration and interior painting services. We serve owners of historic buildings, farmhouses, and older homes in Pennsylvania and the surrounding states, including New Jersey, New York, Maryland, Virginia, and even Washington, DC. There’s something beautiful and historic about plaster structures, and our plastering services allow you to keep that beauty intact decade after decade. We understand the importance of holding onto history while allowing for modern convenience, and our plaster renovations are crafted to perfection, allowing for all your upgrades while staying true to your home or building’s history. 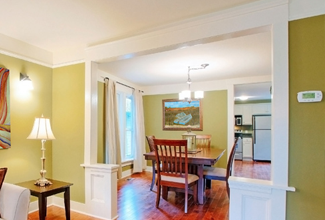 Additionally, we offer interior painting services to ensure that your finishes are historically accurate, and we use modern techniques, technology, and materials to ensure a lasting finish. We’ll work with architects, interior designers, contractors, or directly with homeowners for a beautiful, lasting result you’ll love for decades. Our plaster restoration services bring back the life and original look of older buildings, recapturing the state of the building as it was in the past. This can add value through ornamental plaster rejuvenation, decorative moldings, or just to restore and reproduce existing plaster moldings. We’ll turn any environment into a historical work of art in an efficient manner. Our objective is a beautiful restoration in every job we do, so our expert artisans take a unique approach to plaster renovation and interior painting. High-quality customer service makes all of the challenges a positive experience for our clients and our staff. We finish every job that we start, and our clients get superior service at affordable rates. Contact us for beautiful plaster restorations that stay true to the historic nature of your home while ensuring room for modern conveniences.